Welcome! You’ve just made your first step towards vibrant health. Hours have expanded too ! *Outside the hours by appointments only. Health should be your number one priority because staying healthy is a prerequisite for whatever you want to achieve in your life. I'm an Oregon board certified naturopathic doctor, a primary care physician, specializing in natural medicine. I believe that illness is the body’s way of manifesting internal imbalance. The focus of my treatment is to identify and treat the underlining cause, rather than just treating symptoms. I use a unique integrated approach, combining the science of western medicine with the healing arts of natural medicine. My approach is to minimize the use of pharmaceutical drugs as much as possible and promote the body’s innate self-healing ability. Areas of my speciality include skin conditions, allergies, diabetes, hypertension, women's health, hormonal imbalance, thyroid, weight loss, acute and chronic pains, mood disorders. I also offer health check up and women's annual exam. 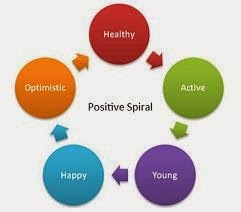 Start your positive spiral today! Vibrant health pushes you towards the positive spiral. If you are healthy, you become active. Being active keeps you young. You are happier and your life becomes fun and exciting. If your life is fun, you will look forward to your future, which further allows you to stay active, young and healthy. Be proactive. Preventative measures that you take today will save you a lot of money in the long run by keeping you out of the hospital and away from pharmaceutical drugs. Indeed,health is the new wealth. Take your next step towards vibrant health! Most insurance accepted, including BlueCrossBlueShield, Cigna, Aetna, Lifewise, ODS/MODA health, Kaiser, Providence, ASH. Please call for verification. 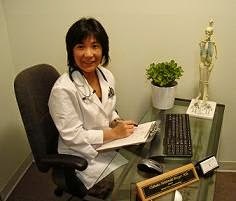 Congratulations to Dr Chikako Harper, ND, LMT on being the on top Family Doctor in Portland ranking of 2015. The past 30 years has seen an extraordinary increase in patients’ demand for safe, effective and cost-effective natural healthcare. 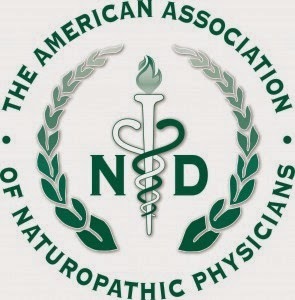 Naturopathic medicine has emerged as the health care profession best suited to meet this demand. It now offers safe, effective natural therapies as a vital part of the health care systems of North America in the twenty-first century. Naturopathic physicians are trained in the art and science of natural healthcare at accredited medical colleges. Integrative partnerships between conventional medical doctors and licensed NDs are becoming more available. This cooperation makes more effective therapies available to patients. It increases patient satisfaction in their relationships with their care providers. More people are recovering their health by adding naturopathic medicine to their health care options. Dr. Chikako Harper is also available for lectures and talks upon requests. please fill out and bring it with you. Oxygen is fundamental to your life and the lung is one of your major detox organs. Breathing in fresh air provides oxygen to your body. Breathing out expels the toxins from your body. Practice deep abdominal breathing in and out five times upon waking and before going to bed. Cells of your body rejuvenate every day. Nourish those cells so that they become healthy tissues. Sunlight keeps your circadian rhythm regular and healthy. Healthy circadian rhythm induces quality sleep at night and wakes you up in the morning refreshed. Sunlight is also the most importance source of vitamin D. Twenty minutes of sunlight can provide you with more than enough daily dose of vitamin D. Research is discovering many benefits of vitamin D including ant-inflammation, cardiovascular protection, and mood stabilizing effects. Stress management. Our body is regulated by Autonomic Nervous System, with two pillars: Sympathetic (fight-or-flight state) and Parasympathetic (relaxed state) nervous system. Stress shifts your body to Sympathetic nervous state. Long term Sympathetic NS state will lead you to various illness. Spend at least 20 minutes each day shifting your body to Parasympathetic NS. It can be achieved by relaxing through listening to music, reading poems, meditating, journaling, etc. Movement promotes blood and lymphatic circulation. Circulation brings oxygen and nutrients to the cells of your body and ensures optimal immune functions. Movement also promotes your bowel movement (very important!). Try brisk walking for at least 30 minutes every day. A: Aqua – Drink plenty of water. 75% of your body is water. 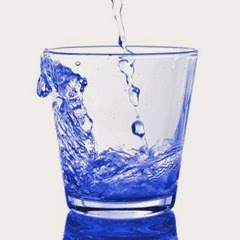 Drink at least 64 oz of filtered water daily to hydrate your body’s cells for optimal functions. Our body restores itself while sleeping. Research shows that our body produces growth hormones during sleep, especially between 10pm and 3am. Eight hours of good quality sleep during this time should be your priority. Be Smart™ every day for one month, you should start noticing positive changes in your body.